Ms. Jilani has served as an Advocate at the Supreme Court of Pakistan since 1992. She is the founder of Pakistan’s first all-women law firm, Pakistan’s first legal aid center and the Women’s Action Forum – an organization focused on campaigning for women’s rights and addressing Pakistan’s discriminatory laws. 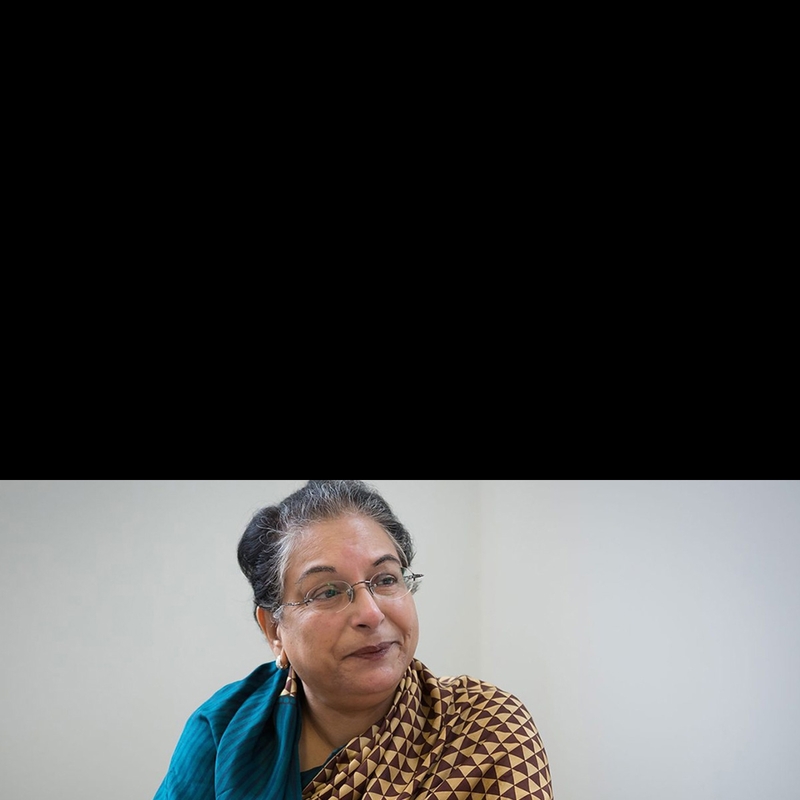 As a well-renowned lawyer in her own right, she has conducted several landmark cases that set new standards for human rights in Pakistan, with particular concern to the more vulnerable populations, including women, minorities, children and prisoners. Throughout her career, Ms. Jilani has provided a voice for those unheard. As the co-founder of the women’s shelter, Dastak, she helped offer refuge for those escaping abusive marriages, child marriages, and ‘honor killings’ and provided free legal counsel and support to victims of gender-based violence. Beginning in 2000, she served eight years as the first United Nations Special Representative of the Secretary-General on Human Rights Defenders, where she focused on addressing human rights violations and analyzing the experiences of human rights defenders around the world. In 2004, she was appointed by the United Nations Security Council to serve as a member of the International Commission of Inquiry on Darfur. Ms. Jilani was appointed a member of the Eminent Jurists Panel on Human Rights and Counter Terrorism by the International Commission of Jurists from 2006 until 2008, and was a member of the United Nations Fact Finding Mission on Gaza in April 2009. In 2013, she was elected to the International Commission of Jurists. Ms. Jilani has received a number of honors and awards, including the 2001 Millennium Peace Prize for Women, the International Human Rights Lawyer Award of the American Bar Association’s Section of International Law and the Amnesty International Genetta Sagan Award for Women’s Rights, among others. She continues to advocate for women’s and human rights around the world.